Good evening! I'm David, 30, from Scotland. I've been a fan of Frasier for years, and have often looked up obscure facts on Frasier Online, but without registering. Hopefully this forum can grow and be a success. Welcome to the forum David, glad to have someone here from the north! I hope so too, I feel we're slowly growing and hopefully we can get better known as the years go by. It would be good if Frasier Online could provide a link onto here. It would be a shame if the whole community was lost or fragmented. They do provide a link, on their homepage. And don't worry, while I'm still alive, I'll still have this forum. And I'm 19, so who knows? 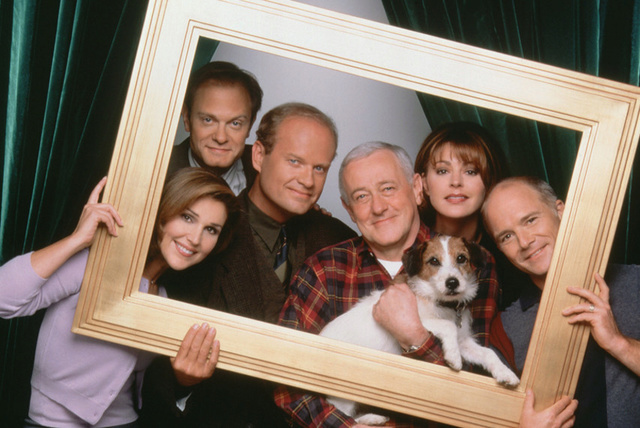 And if Frasier Online ends up fragmented, I can easily build up their information again here. Hello, David, welcome to the forum! Your username sounds quite Croatian... or am I imagining things? Anyway, hope you like it here! It is very Croatian, although I am 100% Scottish. I created it as an anonymous username back when Goran Ivanisevic won Wimbledon, and it just stuck.